Safeguarding Iowa’s water while improving the health of our soil is important to the well-being of Iowa agriculture. To that end, Iowa has set aggressive goals in reducing nutrient losses under the Iowa Nutrient Reduction Strategy (INRS). A combination of nutrient management and conservation practices will be needed to meet INRS goals, which are to reduce nitrogen and phosphorus loading into Iowa waters from non-point sources (including agriculture) by 41 and 29 percent, respectively. 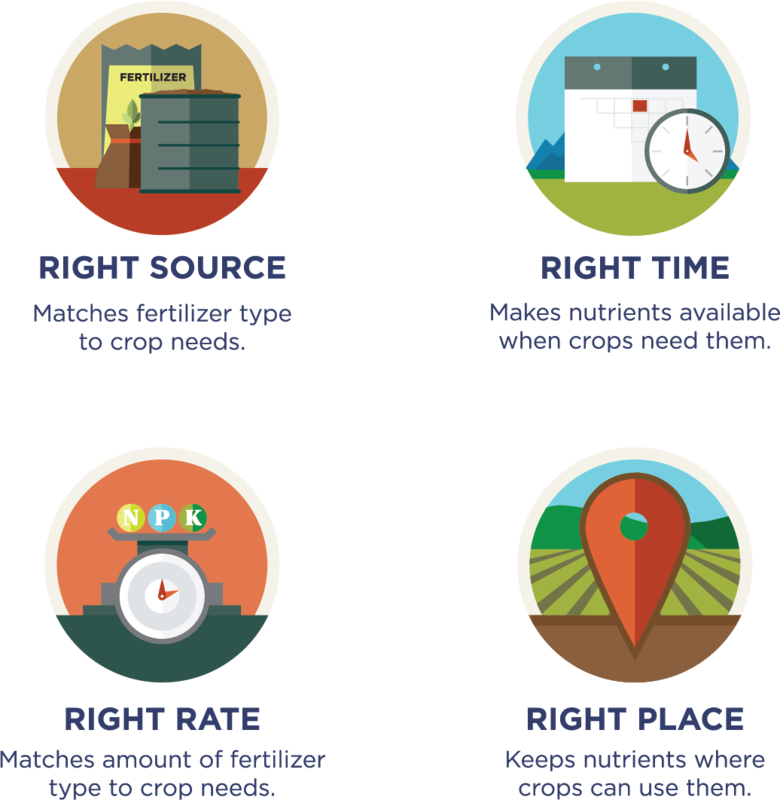 Improve nitrogen management using 4R nutrient stewardship practices. Plant cover crops to take up water and nutrients from the soil. Increase perennials in row crop rotations to reduce both drainage flow and nitrate loads. Use adjustable, flow-reduction structures placed in the drainage system. Reduce drainage intensity with wider-spaced tile lines and/or place them closer to the surface. Recycle drainage water by storing it in a pond or small reservoir and then returning it back to the field through the drainage tile during dry periods. Add bioreactors to channel tile water through a carbon source – usually wood chips – and denitrify the water. Incorporate wetlands to remove nitrates through denitrification, plant uptake and reduction in flow. Install a two-stage drainage ditch to retain nitrates through uptake by ditch’s vegetation and by biofiltration when tile water passes through the vegetation. Use saturated buffers to allow tile water to be redirected into the vegetative buffer and seep through the buffer’s root zone. Our Plant Nutrition Agronomists are both 4R nutrient management specialists through the CCA program. Mike Perkins also serves on the advisory board of Iowa’s 4R+ initiative and is our 4R+ Specialist. Want to know more about 4R Plus? Contact us!